The following is a guest post from an up-and-coming blogger. Contact me if you are interested in guest posting at SavvyScot. We all have quite a different attitude to clothes and clothes shopping. Some people insist on every item in their wardrobe being freshly updated on a routine basis with the latest designer clad, whilst others couldn’t give too sods about how they dress and what clothes they buy. I’m personally not a huge fan of clothes shopping and spending money on clothes altogether. I try and make things last for as long as possible and I prefer to have just a few items of clothing that I actually wear rather than a wardrobe that’s packed with clothes I don’t wear. So here are some of the ways you can cut back on clothes shopping, expenditure, and accumulation. If you’ve got a dinner a ball at work coming up, a wedding, or a friend’s fancy dress party to attend then you can soon be faced with the prospect of having to shell out for something you might wear once and never wear again. One option is therefore to hire whatever item of clothing it is that you need. This is a good strategy to take to save cash and wardrobe space if you know you’re only going to need the item of clothing once, but of course it could work out more expensive in the long run if you need, say, a tuxedo, once a year for the annual work dinner and dance in which case you might just want to go ahead and buy one. A better, alternative strategy is also to borrow these sorts of items from friends or family on the basis that you (hopefully) won’t have to pay them anything! I’m personally not too bothered about having any special brands or designer labels plastered all over my t-shirts and jumpers so this isn’t an issue for me. But if you can’t resist the urge to buy designer gear then trawl eBay for new, nearly-new or used stuff and you can make some massive savings. A few years ago, for example, I sold a Fred Perry polo shirt (it wasn’t mine, but I had it passed on to me from someone) on eBay in nearly new condition for about £15 which is a fraction of the price they retail at in the shops. Buying end of season or items in the sale is also a more obvious piece of advice; the chances are most people won’t know/care if it’s the latest t-shirt design or whatever else so you can get your hands on your favourite designer stuff and save money in the process. If you want to slim down your wardrobe but don’t want to be ‘the guy who always wears the red t-shirt’, or the ‘guy who always wears that black jumper’. Then you can kill two birds with one stone by having a small selection of clothes that are in different colours/designs/styles. That way you’ll be able to have a range of outfits for the different days of the week (avoiding any fashion/social faux pas), without, at the same time, having a clutter-filled wardrobe. A couple of weeks ago I did a little guide on how we should approach the task of chucking things out. In that post I specifically mentioned how we can get over any indecision as to whether or not to throw an item of clothing out by looking at it and asking ourselves whether we honestly think we’ll wear it again. I’ve certainly found that when I use this approach I soon end up being quite ruthless as I realise that a lot of the clothes I have bought I just won’t ever wear again. This has allowed me to throw out loads of clothes and also make some money in the process of selling them on eBay. Sure, a lot of clothes don’t have a re-sale value that makes them worth selling, but if it’s got any sort of label on it or falls into the more practical category of clothing (e.g. raincoats) I’ve found they can be very easy to sell. The best sale I’ve made so far was a four year old Berghaus jacket that I bought for £50 and sold for £30. That’s not bad considering I’d got a ton of use out of it and could no longer wear it as it was too small. Fellow male (and female) readers: how do you save money on clothes? This is a guest post from Julian at Frugaal. He’s interested in and likes to write about a wide range of topics, both within and outside of personal finance. Great tips. Personally, a lot of what I have for clothes are interchangable. That way the can be used for multiple outfits and thus lower the amount of outfits I have to buy. John S @ Frugal Rules recently posted..When is Being Frugal Really Just Being Cheap? I try to save by buying quality items that I don’t have to renew every season and are classics that I can wear for many occasions. When i can, I mend clothes that are not fitting properly instead of getting rid of them. Many people throw shirts because they can’t sew a button! I buy all of my business clothes second hand at this store near my home called, Simply Chic. I get lightly used quality clothing and even some new items occasionally for a fraction of the cost. New clothes are expensive!!! My wife loves to go thrift store shopping. I think there is a sense of thrill for her. She has been able to find some really nice designers clothes for really cheap. Last year should bought a Columbia fleece for $5. Sounds like a decent deal! I think everyone should look to pass on and swap their clothes a little more. I’ve given a few things away to friends in the past, but I usually just take them to the charity store/clothing bank. Oh – my spouse buys very good quality clothes and one of the benefits is the customer service. 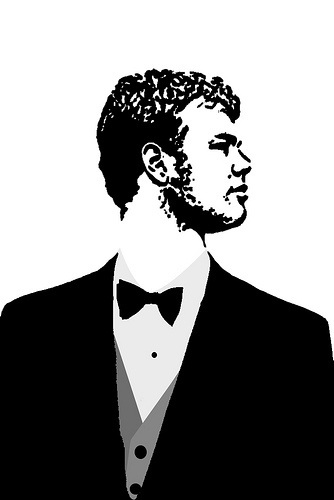 ie – suit suspenders stained a dress shirt, they refunded the suspenders and replaced the shirt, all with zero hassle. The clothes also last a lot longer than the cheaper stuff we used to buy. That is fantastic service! Another reason why you should either go cheap or top of the range. When I had shirts made for me in Thailand I got this kind of service 🙂 – It feels pretty good! Funny you should post this when I just posted my urge to shop. I save money on clothes by not buying them most of the time. But when I do it’s usually from discount type stores like Target. Budget and the Beach recently posted..The Urge to Shop! 🙂 We must be in Sync! I like that statement – you save simply by not doing it! Not buying clothes altogether is generally my strategy for saving on clothes too! But when I do I usually shy away from anything too expensive as well. I don’t mind paying a bit extra for quality though. 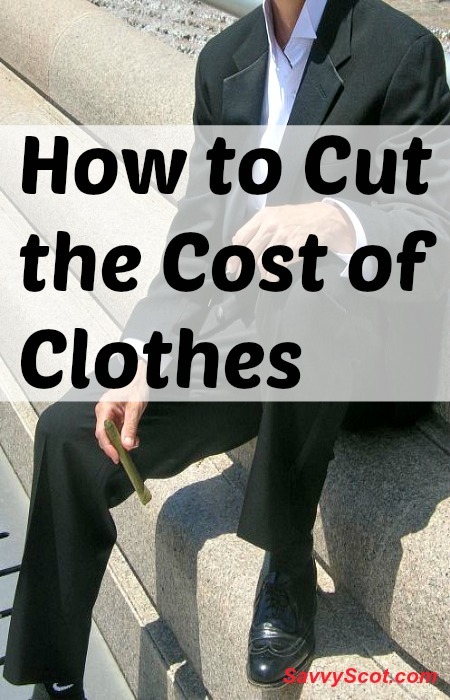 You can also cut costs of clothes by taking care of the ones you have more diligently. Things like washing them correctly and keeping pants hemmed at the right height, etc, can make a big difference in how long clothes last. This is very true… I always take great care on selecting washing temperatures… but perhaps not enough with seperating colours. One thing I have noticed is that it ruins shirts if you put them on straight after applying deodrant! I think investing some more time in shopping can be really beneficial while buying clothes for yourself. Comparing the prices and stuff offered by different brands can help find the some good stuff at lower prices.